I’ve written posts in the past to help tell apart edible plants from poisonous ones, such as this one on hemlock and cow parsley and this one about foxgloves. This time I want to look at hogweed and giant hogweed. Nicola and I eat a lot of hogweed (Heracleum sphondylium) at this time of year, the smell of it cooking is just wonderful. I like it with eggs, in an omelette or a quiche topped with a little blue cheese. We also have it griddled, a bit like asparagus, with olives and some chilli flakes, which is delicious. But you need to make sure that what you are picking is hogweed and not giant hogweed. Giant hogweed (Heracleum mantegazzianum) isn’t a native plant, it was introduced into the British Isles in the 1800s and has rapidly spread. 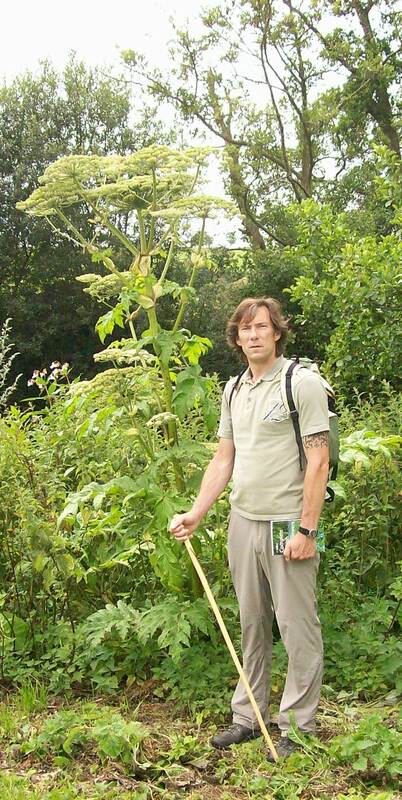 It tends to be found on river banks and alongside canals; the photo below was taken alongside the Frome in May 2009 and gives an idea of how tall it can get, although it can grow to 5m. 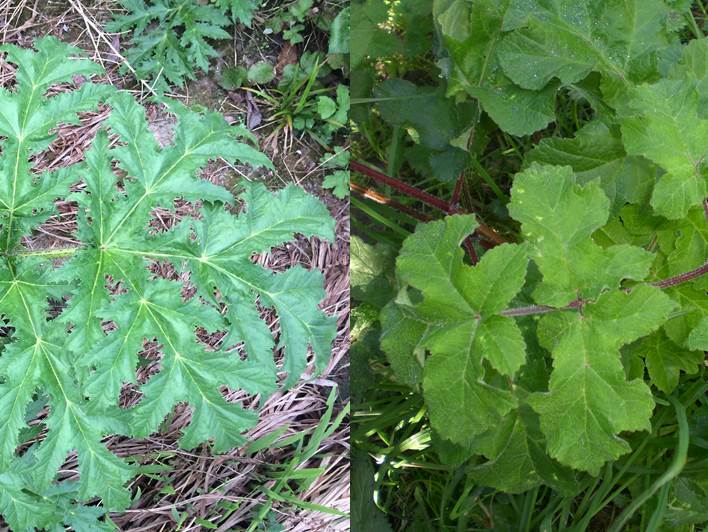 The sap of giant hogweed contains photosensitising furanocoumarins which can cause phytophotodermatitis, or in short nasty burns to your skin when combined with sunlight, and if it gets in your eyes can result in blindness. 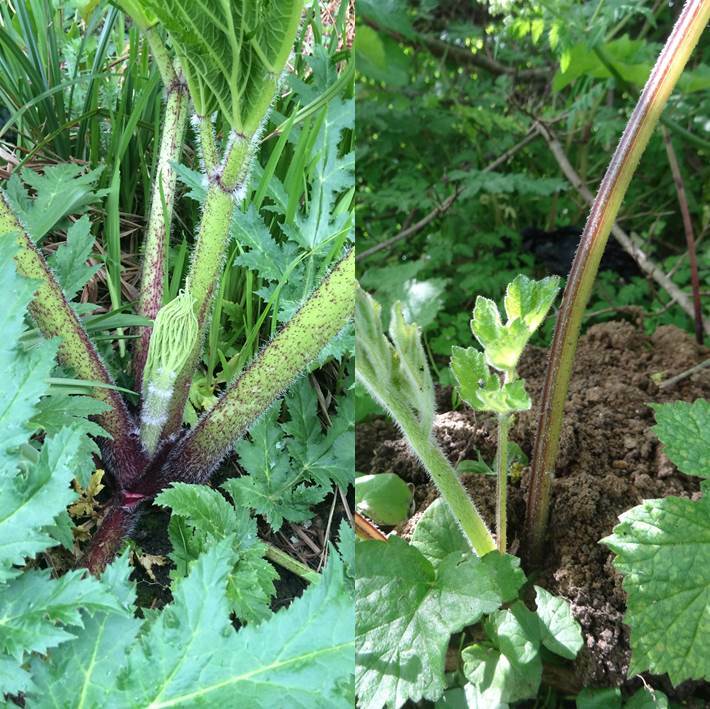 We haven’t found any giant hogweed where we are based on the North Downs, but one of our regulars, Max, sent us some photos recently of some that he spotted in Essex. At this time of year (May) the height of the giant hogweed gives it away, but earlier in spring it isn’t always as obvious. So here are a few pointers to help tell them apart. The leaves on giant hogweed tend to be very deeply divided, angular and pointed, whilst those of hogweed are more rounded. In the photo below giant hogweed is on the left hand side, hogweed on the right. In the photo below giant hogweed is again on the left hand side. I hope this helps, but remember, if you aren’t 100% certain, leave well alone – don’t risk suffering a potentially painful injury. You can see loads of photos from our Wildfoods & Woodland Cooking course, along with all of our other courses, on our Facebook page. 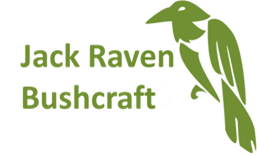 Thanks for this – and the post on hemlock v cow parsley – looks like we have all 4 in the garden. Time to do some clearing !